PurePurge™ Bed Bath System is for patients who are unable to bathe in a tub or shower. It is an easy to use system that is efficient, effectively hygienic and can be used anywhere at anytime. PurePurge™ Bed Bath System is for patients who are unable to bathe in a tub or shower. It is an easy to use system that is efficient, effectively hygienic and can be used anywhere at anytime. Everything required is in the bag. 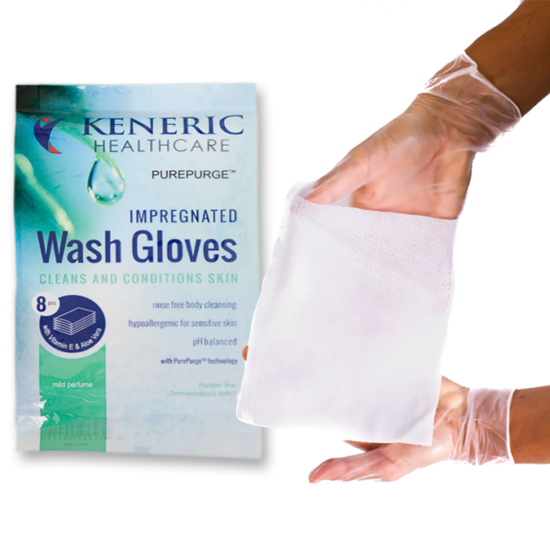 • Greatly reduces the chances of cross infection. Cross infection is highly probable in traditional sponge bath with suspect reusable basins, hospital water supplies and terry towels. • Standardization bathing procedure. 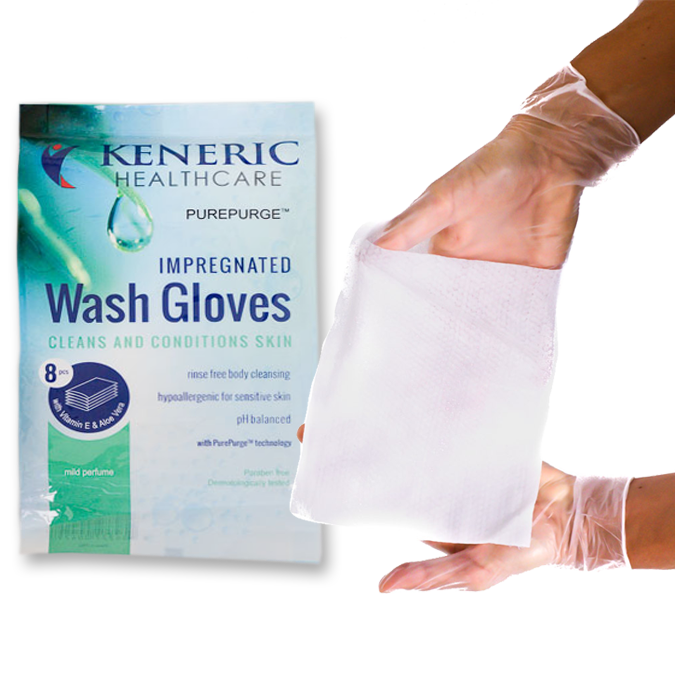 Use of PurePurge products PurePurge™ Bed Bath System means process efficiency and consistency throughout the facility. • Cost Effective Adoption – Eliminates storage of soaps, shampoos, skin conditioners and laundering costs.